I was a fan of the Percy Jackson series and I recently read the first book in the Heroes of Olympus series, so i thought I would try the first book in the Kane Chronicles, especially since my knowledge of Egyptian mythology is severely lacking. I actually think I enjoyed it that much more because I was not familiar with the story already. I honestly didn’t know what was going to happen and was on the edge of my seat. That helped fix my issues with the Greek mythology series and it was a lot of fun to learn while reading such an engaging book. I always have loved learning more about mythology and missed so much by not learning about Egypt! Plot-wise, this is a very exciting book. They travel the world and have to go against many enemies. Luckily, Riordan does a lot of character development through the high-stress action. Since there are so many locations and a mystical way to travel quickly, it lets the reader see all part sof the world in ways that other books can’t. The two main characters are very different even though they are siblings but that makes them a great team. They have different strengths and ways of thinking. It shows that there is not just one way to look at problems or be intelligent, which is always a good thing to have in a book for students. While they are incredibly brave, they also show fear and panic and they needed help from others. Even godlings can’t do it all on their own. 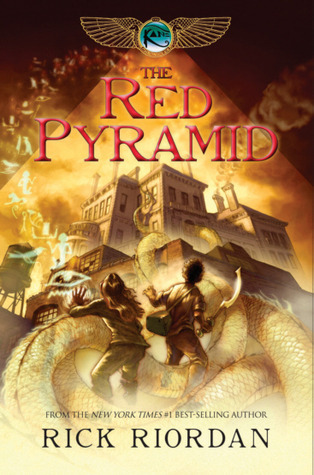 This may be my favorite series that Riordan has and I look forward to getting the next book soon! This book would be a great gift for middle school students who like mythology. 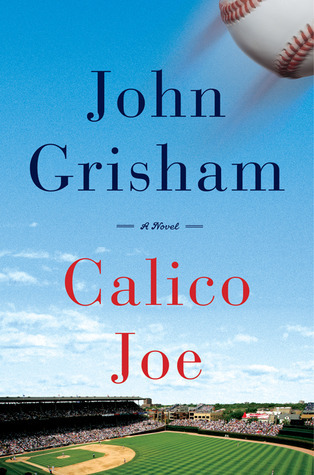 I have been a John Grisham fan for years. I like his legal thrillers and I love his others books. He had one other book about baseball Playing for Pizza that I thought was a wonderful and fun book, so I knew I had to read this one. It was amazing. It was a story not only of my favorite sport, but one of a father and son and of an entire family. It was beautifully written. The book jumped around in time in way that made the story flow incredibly well. Adult paul would do something, then it would switch to the past and you could see why. If this had been a more traditional structure, the book would not have been so great. I don’t want to include spoilers, but the end of the book was very touching. Paul and Joe were both such great men that I really wanted the best for them and the worst for Paul’s father. If you like baseball and stories of family and strength, do yourself a favor and pick up this book. It is a fantastic read. I would also recommend this as a great gift for the holidays! I know it is late, but life has been busy. We are all ready for the hurricane, have our water, food and flashlights. Hope everyone stays safe! I have been wanting to read this series for a really long time. It has been recommended to me countless times and I thought the first book would make the perfect read-a-thon book. I was right. This book was an incredibly fast read and so full of action and mystery that I had to read it in one sitting. Lyra is an excellent character. She is smart, clever, and courageous. She uses those traits to help others, even when there is danger and naysayers. Her character is actually the main reason I am going to read the rest of the series. I can’t talk about this book without talking about the Daemons. They are so creative and I kind of wish they were real. This book is considered a YA book, but I really don’t think it is one. It talks about religion and philosophy in complex and high level ways that many young adults can’t appreciate. Reading it as an adult made me think and question. It is a really great book! 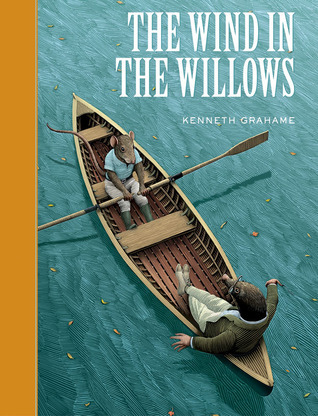 The Wind in the Willows is a classic of magical fancy and enchanting wit. The adventures and misadventures of the book’s intrepid quartet of heroes—Mole, Water Rat, Badger, and, of course, the incorrigible Toad—raise fantasy to the level of myth. Reflecting the freshness of childhood wonder, the story still offers adults endless sophistication, substance, and depth. The animals’ world embodies the author’s wry, whimsical, and unfailingly inventive imagination. It is a world that succeeding generations of both adult and young readers have found irresistible. But why say more? To use the words of the estimable Mr. Toad himself: “Travel, change, interest, excitement!…Come inside. 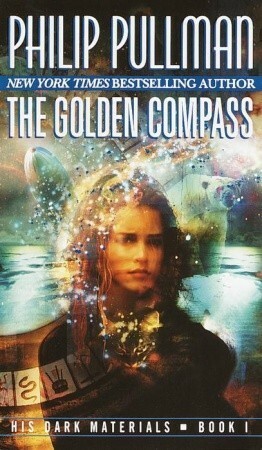 I don’t know how I missed this book when I was younger, but I am so glad I read it as an adult! This was a delightful book full of beautiful writing and an wonderful story. Each character has their own personality and traits that adults and children will enjoy. This would also be a great book to read with a kid as a bedtime story. It really is a book children and adults can enjoy together! If you are nostalgic for Mr. Toad’s Wild Ride, it is a great way to remember the ride and the story. It made me want to ride the ride again, but alas it isn’t at Walt Disney World anymore! If you aven’t read this book, or havent’ read it in a while, it is a great story for the entire family! I am not a big fan of graphic novels. I have tried to like them, i have read the best, but they are not my thing. But this one is about musical theater so i thought I would give it a try. And it was okay. The story was cute, the art felt appropriate, and it was a fast read. I liked it, but I am still not a big graphic novel fan. I think it would have been a better story as a novel. My other big issue is that Callie, this HUGE musical theater fan, called a CD based on a musical a Soundtrack. Now, to most people, this is nothing, but as a theater geek, a soundtrack is based on a movie, what she was talking about was a cast recording. That this mistake was repeated again and again was really annoying and I hope it was caught in the final since I read the ARC. If not, that is just lazy writing and editing. Other than that, it was perfectly fine, just not really my thing. 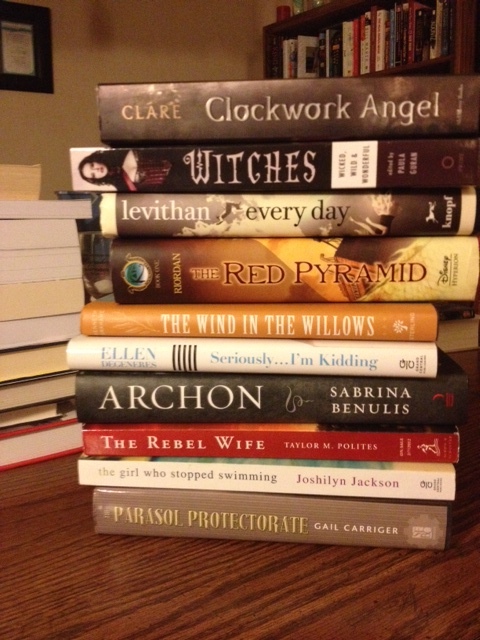 Three Mini-Reviews from the read-a-thon! Summary: Fourth book in the Mortal Instruments series. The Mortal War is over, and Clary Fray is back home She’s training to become a Shadowhunter. Her mother is getting married to the love of her life. Downworlders and Shadowhunters are at peace at last. She can finally call Jace her boyfriend. Someone is murdering Shadowhunters who used to be in Valentine’s Circle, provoking tensions between Downworlders and Shadowhunters that could lead to a second bloody war. When Jace begins to pull away from Clary without explaining why, she is forced to delve into the heart of a mystery whose solution reveals her worst nightmare: She herself has set in motion a terrible chain of events that could lead to her losing everything she loves. Even Jace. Another great book in the series! Though Clary was not the best part of it, which was different. Instead, Simon stole the show. His story was heart-breaking, but watching his friends stand with him was uplifting. Jace was frustrating as usual, but not because he chose to be this time. My issue with this book was that it didn’t really end. It was completely a cliffhanger and I do get annoyed with series books that aren’t a complete story by itself. Still a great book and a great series. 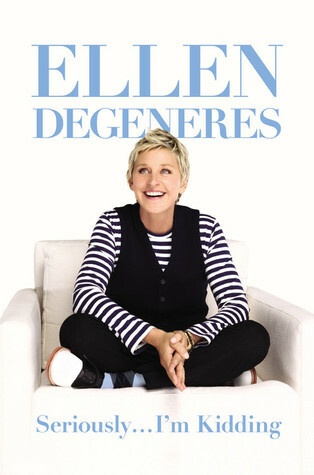 Summary: Degeneres’ first book in eight years, brings us up to date about the life of a kindhearted woman who bowed out of American Idol because she didn’t want to be mean. Lively; hilarious; often sweetly poignant. Review: This book is exactly what you would expect from Ellen – a series of essays that are funny and just so very her. But if you watch her show regularly, it is a little disappointing. She has used many of the themes of the essays for her monologues, so I felt like I had heard some them already. That said, it was still fun and entertaining and was a really fast read! 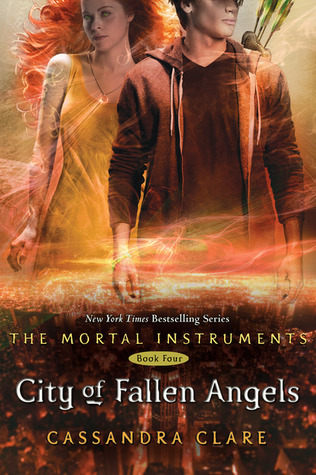 Summary: The fifth and latest book in the Mortal Instruments series. What price is too high to pay, even for love? 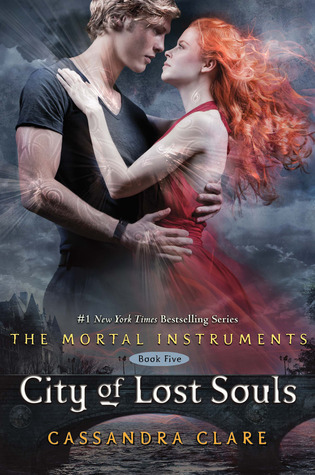 When Jace and Clary meet again, Clary is horrified to discover that the demon Lilith’s magic has bound her beloved Jace together with her evil brother Sebastian, and that Jace has become a servant of evil. The Clave is out to destroy Sebastian, but there is no way to harm one boy without destroying the other. As Alec, Magnus, Simon, and Isabelle wheedle and bargain with Seelies, demons, and the merciless Iron Sisters to try to save Jace, Clary plays a dangerous game of her own. The price of losing is not just her own life, but Jace’s soul. She’s willing to do anything for Jace, but can she still trust him? Or is he truly lost? This is the best book in the series so far! It was such an exciting book! I loved that reader’s get to know Clary’s mom more. There were many times I found myself agreeing with her mom, Clary took things too far a few times. Yeah, se loves Jace, but the love put her in danger and she was risking everything for a boy. I wanted her to listen to her mom for once! Yet what makes this so great is that you can still see why Clary doesn’t want to listen to her mom. I loved reading everyone’s story this time and what they were doing to save the world. Simon continues to be an amazing character and I started loving Isabelle even more. She has become a much more well-defined character in the last couple books. Magnus and Alec’s relationship also changes in understandable and sad ways. Every story in this book was so great and it made me excited to read more – being caught up with series is great, but it always leaves me wanting more. If you haven’t read this fantastic YA paranormal series yet, you should start! The chilling account of how a low- level, small-minded KGB operative ascended to the Russian presidency and, in an astonishingly short time, destroyed years of progress and made his country once more a threat to her own people and to the world. Handpicked as a successor by the “family” surrounding an ailing and increasingly unpopular Boris Yeltsin, Vladimir Putin seemed like a perfect choice for the oligarchy to shape according to its own designs. Suddenly the boy who had stood in the shadows, dreaming of ruling the world, was a public figure, and his popularity soared. Russia and an infatuated West were determined to see the progressive leader of their dreams, even as he seized control of media, sent political rivals and critics into exile or to the grave, and smashed the country’s fragile electoral system, concentrating power in the hands of his cronies. This is probably the best nonfiction book I have ever read, That isn’t an exaggeration at all. I think this is a book that most people in the world need to read, especially those who are interested in world news, current events, and Russia in general. Even if you aren’t interested in these things, this book will show you that you should be. If you think Russia has become a Democratic country since the USSR dissolved…well you would be wrong. I knew Putin had done some bad things, but this book opened my eyes to so much the US media has ignored since Putin took office. I won’t talk about everything, because I really think you should read this book, but here are a couple examples. There used to be elections for the county’s representatives. Now they are appointed. In fact, the only elected position in the national government became Putin. Many people were murdered for disagreeing with Putin. The KBG is still alive and well in Russia and their tactics haven’t changed. In the tragedy of Beslan, most of the people (who were mostly children) that were killed, were killed by the government, not the terrorists. In fact, once the government started attacking the building, the terrorists kept trying to move their hostages to safe areas to limit casualties. And there is so much more that is very well researched and documented. Masha Gessen writes in a compelling and accessible way. You don’t need to know much about Russia in order to read this book, but she doesn’t write in a way that makes it felt like she is talking down to readers either. I found it so hard to put this book down, something that rarely happens with a book like this. I had to know more and was engaged the entire time. And in case you don’t read the book, know that it ends with hope. It ends with things starting to get better because the normal Russian people, the people that are there like you and me, started taking a stand. We know by the news that things aren’t perfect, but it is getting better and I really hope Masha Gessen writes about it more. I hope you pick up this book. It will make you think and look at the world a little differently. I hope everyone had a fun and successful read-a-thon, I know I did! Ll that reading and I am still 6 books behind my goodreads goal for the year! Hour 9 when I had to take a power nap! 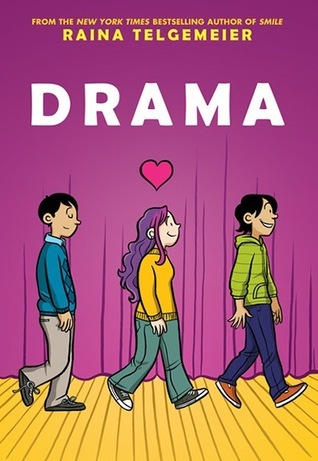 I am nto a huge graphic novel fan, but Drama was really good. Ellen’s book was also very funny and I think funny memoir-y type books go really fast! The cheerleaders and hosts were amazing! The one I couldn’t get more than a few pages through. As long as I don’t have plans, i’m totally doing it! I will probably just be a reader again. I wanted to say a special thanks to all of the volunteers who made this such a great event. They were amazing! Also, a special thanks to Dawn at She if Too Fond of Books . She cheered me on through twitter all dya and really gave great encouragement and advice! Excited to see everyone else’s posts! It has been really productive since my last update, I read in two different locations and a bunch of different genres! It has been a really fun day so far, but I want to go online and cheer on some of my friends! So far, so awesome! My husband left to go spend some time with his parents, sister and our niece. i am a little jealous, but very happy he got out of the house! I just saw that I was a winner in Hour 3! It was so exciting and I want to say a big thank you to all the volunteers who help make this the BEST book event. And not just because I won of course, but because they are all made of so much awesome :-). Make sure as you are reading you are going to the Hour 3 page and putting in the books you finished! I am taking a break to eat lunch and comment on some blogs! Hope everyone is having fun! Snacks: Breakfast – Fruit Loops with no milk (oops), toast with apple butter, a pot of coffee. I am starting a little late because the prep work for the stew took longer than I thought. I didn’t make the cookie dough last night, but maybe it will get made today? if not, baking tomorrow and cookies then. Okay, questionnaire time! I am a total and complete nerd (and a nerdfighter). I love Doctor Who, Harry Potter, and so many other fun nerdy things unapologetically! I think it makes life more fun. Not much really. Last time was amazing! Happy reading everyone! I will be posting a little more often on twitter! I have my stacks of books all picked out! Obviously, even I cannot read this many books in 24 hours. But I need to have a wide variety to choose from! Two of the books are not on this stack and those are The City of Lost Souls since I am currently reading it and The Diviners since I have to bring it home. I have a wide variety though! 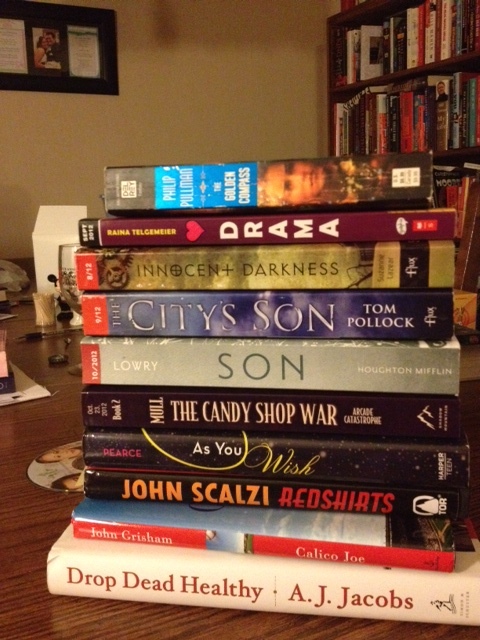 Some YA, some middle grade, and some adult books. I have fiction and nonfiction. I even have a graphic novel (thought my hopes aren’t high, I am not a big fan of the medium). I am really excited to read all of the books, so the reading part will be great! For food, I have beef stew that I am going to make. I wish I could pre-make it tonight, but I can’t. I also have to bake cookies! That I think I will do tonight and stick the cookie dough in the fridge (you can do that, right?). I will have breakfast and coffee and leftovers for lunch. But I have no other snacks. We have some apples, but they have been okay lately. I have carrots which is good, but that is about it. I can’t believe I forgot to get snacks!